You can perform query operation in realm database by following below lines of code. you can create one to one, one to many relationship using realm database. For example check out the below scenario. Realm also boasts of speed, according to the documentation, Realm is faster than even raw SQLite on common operations, while maintaining an extremely rich feature set. 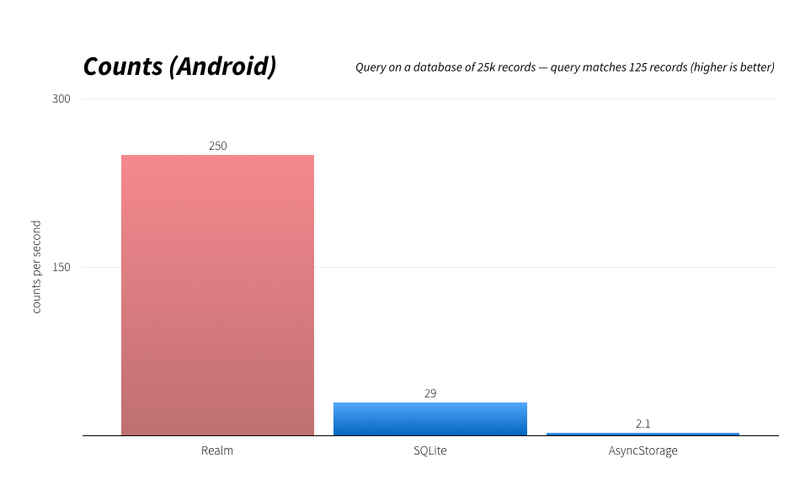 Realm is a lightweight database in Android, but it doesn't use SQLite. 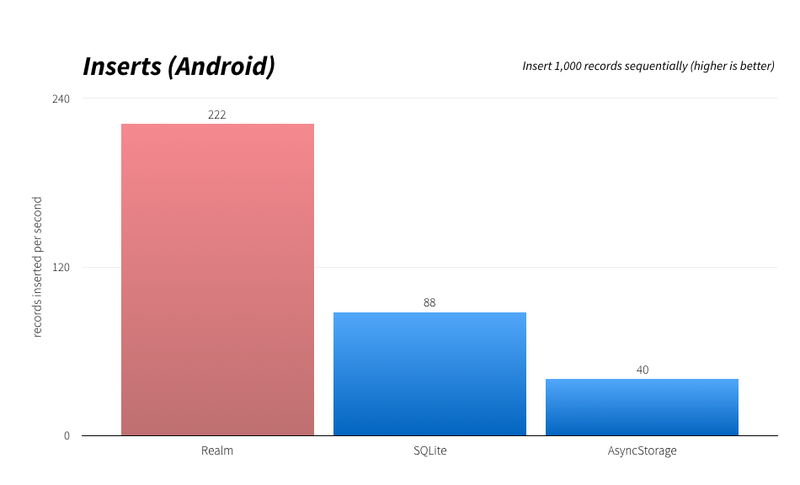 If we use ORMLite or ActiveAndroid or any other similar library, our data is stored in SQLite database, because these libraries give us only an overlay on SQLite.Realm occupies very less memory space compared to SQLite. So ultimately it reduces the overall size of our application. 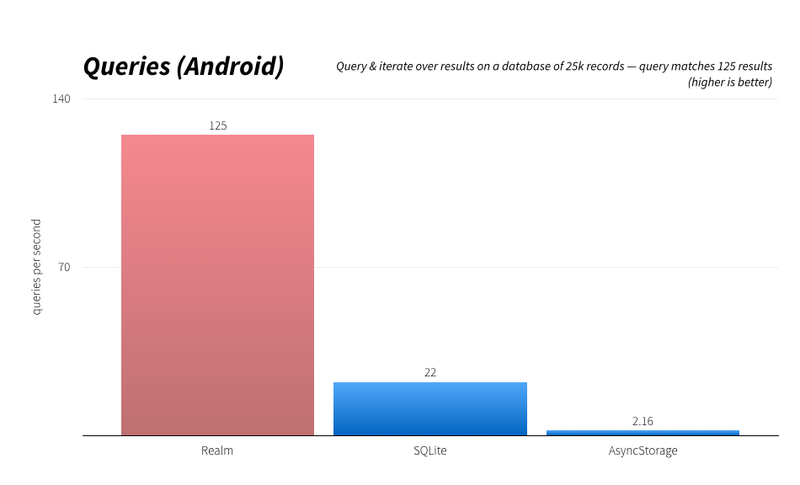 Realm is very fast in reading & writing data compared to SQLite. 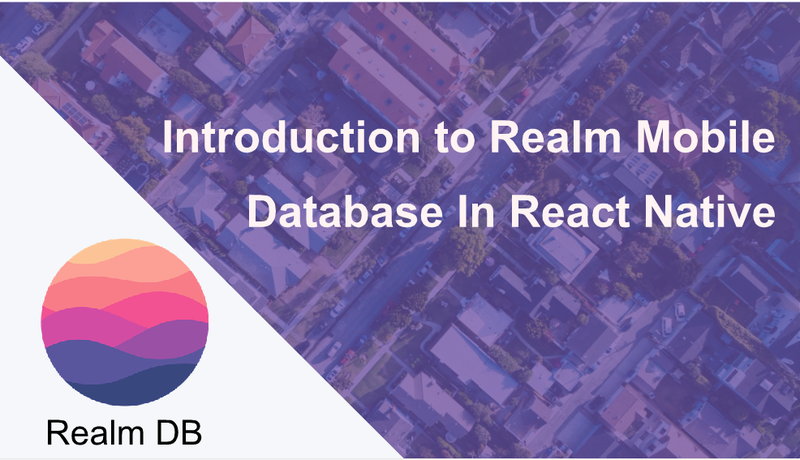 Listed above are some of the benefits you should know about Realm as the local database for your React Native app. Though, SQLite alone is a powerful local database for your React Native app. However, it is not useful when your application needs to scale with the increasing number of users. Realm, as a local database is the best alternative to be used in such type of case. So, are you ready to consider realm in your React Native app? Let us know in comments below.